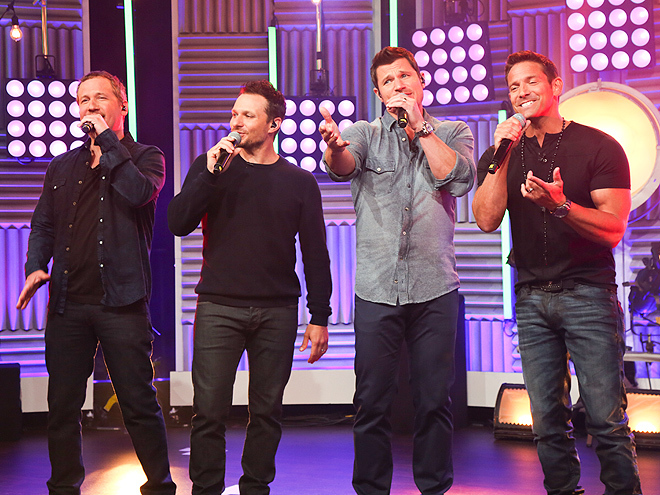 A couple weeks ago on a Friday night at Lachey’s Bar, we asked Nick why he hadn’t had Drew on Big Morning Buzz this season and he smiled and revealed that before the end of the season, he would have something special with all of our 98 Degrees! Make sure to set your DVRs!!! You won’t want to miss the season finale of Big Morning Buzz!!!! This entry was posted on June 3, 2015 by emmieleigh. It was filed under television and was tagged with 98 Degrees, Big Morning Buzz, Booze Cruise, Drew Lachey, Ellie Lee, Instagram, Jackie Miranne, Jeff Timmons, Justin Jeffre, Nick Lachey, people magazine, VH1, Videos.